Arrive Bangkok airport and be transferred by private vehicle to Hua Hin. Remainder of the day at your leisure to relax or explore Hua Hin’s fishing village area and restaurants. This is a picturesque, palm tree lined course that presents a challenge to all levels of golfer with accommodating fairways. A good “opening-day” course to work on your fundamentals and prepare for the week ahead! 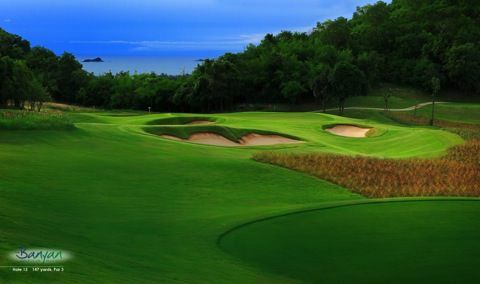 A Jack Nicklaus designed course, which has gained a reputation of being one of the finest courses in Thailand. With many easy driving holes and some tricky water carries and large greens this is an enjoyable course to play. A long course if played from the back markers, Majestic Creek will test even the low handicapper. The course design provides for challenging water carries with a maze of streams that wind through the course. One of the best-prepared courses in Hua Hin with a challenging layout that includes winding fairways, which open out to large slick greens. Banyan was home to the final of the BMW Challenge in 2012. A beautiful clubhouse awaits you after your round. An exceptional golf course, which hosted the 2011 Royal Trophy event, this course is always beautifully presented and you will find Black Mountain is a joy to experience. With several distinct tee boxes you will be able to find a length to guarantee an unforgettable round of golf. Surcharges will apply outside of these dates. The incredible Replica Course with 9 famous golf holes from St Andrews, Oakmont, Winged Foot and Turnberry , the 17th at TPC Sawgrass and others followed by the actual back nine holes from Augusta National. Play through “Amen Corner”, take on the 15th in two, exprience the hidden slopes on the greens that you have only been able to watch on TV. This course is a must for keen golfers and a truly memorable experience. 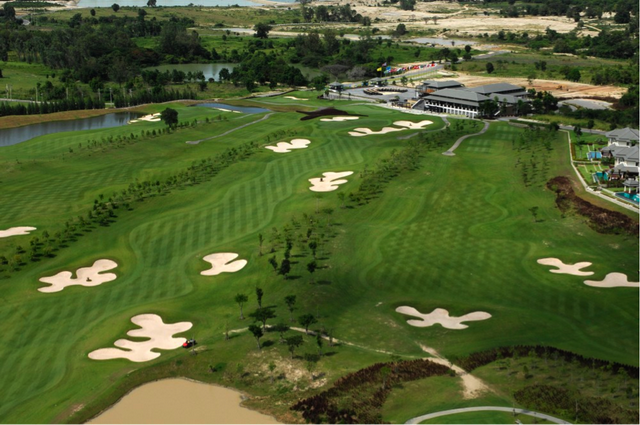 The host club for the 2012 Thailand Open with quick Bermuda greens and multiple dog-leg holes that invite you to try and chew off the corner. The back nine is both challenging and picturesque. Transfer to Bangkok airport, departure. Price is based on 8 golfers and is subject to change with currency fluctuation.